Here’s a truly transformational story of one woman’s quest to beat the odds and rise to the top. 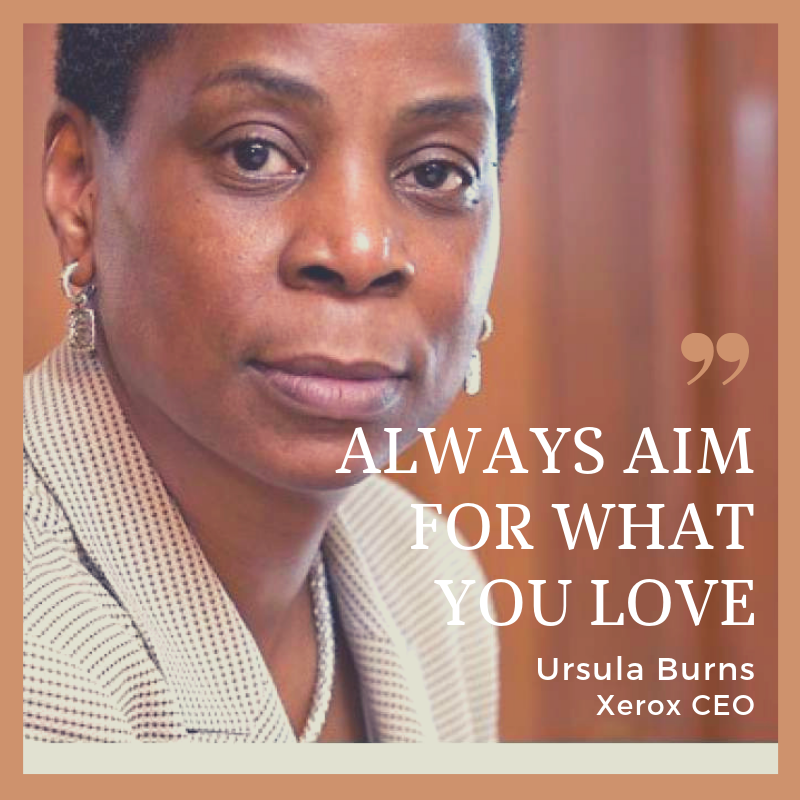 Ursula Burns was the CEO of Xerox. She stepped down at the end of 2016 after leading a resurgence at the once-great company. She faced down impossible odds as a black woman in her field. In spite of the barriers she ran into, Burns got to the top. Burns was born in 1958 to immigrants from Panama. She grew up in a poor neighbourhood in New York City. Although her family was supportive and loving, their resources were limited. From a young age, Burns knew she wanted a well-paying career, but she didn’t have a specific future in mind beyond that. As her math skills stood out, Burns took her counselor's advice and opted for an engineering degree. At the time, there were very few black women in engineering. That’s one of the best advice she’s ever received. Don’t be afraid to become a pioneer. Burns tried chemical engineering first, which made her unhappy. So she switched to mechanical engineering and discovered that she loved it. That’s the other secret to her success. She says you should always aim for what you love. After she got her degree, Burns interned at Xerox and got a job there. Although she expected to stay an engineer, Burns loved connecting with customers. Gradually, she started taking over the business side of things. Adaptability is another important factor. Ursula Burns never stopped learning new skills and seeing new possibilities. If Burns’ story resonated with you, you may feel inspired to take your life in a new direction. Why not go for something entirely unexpected? If you love the thought of working from home and being your own boss, importing might be the best option for you. This is a great career path for adaptable people and quick learners. But you might need some guidance before you develop a winning strategy. Why not join us on a FREE webinar now? During the call, we’ll go over some important facts about importing, such as the initial costs. We can also talk about the best way to communicate with your future customers. Follow Burns’ example and take a leap of faith. The change that you’re looking for might be simpler than you think.